Over the last few years I've either been pregnant or have been toting around an infant, and the latest baby gear and trends have been on my radar. This year I have a bunch of friends and relatives having babies. One of my favorite Atlanta events is the Baby & Child Expo. If you're a new to be mom it is certainly not to be missed. 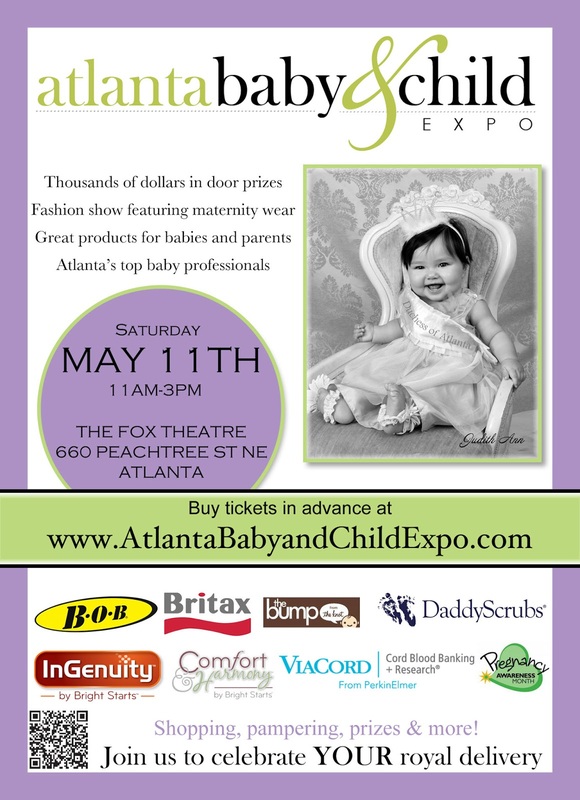 If you're a seasoned mom and love keeping up on the latest and greatest offerings in the baby products and services you definitely want to attend this event. Desiree the event organizer always finds the best brands and local businesses available in Atlanta. Not to mention there are TONS of prizes to be won. If you're contemplating the VIP ticket...DO IT! It is worth the $$ and there are so many perks that go along with that ticket. What: THE premier event for expecting and new parents in the Southeast. We bring in the ultimate in parenting and baby products and professionals. supporting cast of family and friends.